Having been impressed by Bricsnet‘s marketing during the dot.com boom years, I followed developments sporadically (mainly because the ProjectCenter extranet product was not heavily marketed in the UK), and have only mentioned the company in this blog a handful of times over the past four years – most recently last November (posts here and here). However, following contact then from Cristina Niculescu, head of Bricsnet’s collaboration tool ProjectCenter in Europe, I thought it would be useful to find out more about the company, its history, the role of ProjectCenter, the competitive landscape for collaboration technologies in Spain, and so on…. 1. I first heard of Bricsnet’s SaaS offering ProjectCenter about 8-9 years ago (I remember the website had a fantastic Flash animation). Originally founded in 1998, it was based in Belgium, I think, and later acquired French collaboration company Constructeo. Can you give me a brief history of the company from its early days? Founded in 1986 in Belgium, Bricsnet was originally focused on developing advanced software for the design process. In 1999, Bricsnet moved towards innovative Internet-based technologies for design and construction processes and went public. During the two subsequent years the company expanded through acquisitions, among which the most representative were: a US-based project extranet technology (now called ProjectCenter) and a Real Estate Lifecycle Management solution (in what is today Bricsnet Enterprise). Already back in 2000, Bricsnet pioneered the vision of providing an integrated platform to support not only design and construction phases, but the subsequent management throughout the building’s lifecycle. This end-to-end integrated solution evolved over the years into a specific market discipline known as IWMS (Integrated Workplace Management System), as defined by the Gartner Group who has been monitoring this space and publishing its yearly Five Magic Quadrants reports. In 2002, a new panel of European-based investors bought Bricsnet’s assets, de-listed the company, relocated to San Francisco, US and focused its operations into the technologies that were meant to fulfil the company’s ultimate mission: Real Estate Workplace Automation. Over the last four years, Bricsnet achieved leadership position and so was recognized consistently by Gartner Group as “Leaders” in its annual IWMS report. Bricsnet’s headquarters are based in San Francisco and the European operations are carried out from the main office in Madrid, Spain. 2. Was there further M&A activity along the way? There were no additional M&A activities beyond 2002 while the company focused its development capital into fuelling organic growth and around serving the corporate real estate market. Bricsnet has finally evolved into a company controlled by a single reference shareholder (TORIMBIA), which increased over the years its equity position to its current 75%–thus showing a continuous longer-term backing of Bricsnet. TORIMBIA is a Spain-based ca. US$1 Billion privately held and family-owned holding group, with business interests in real estate, retail gas distribution, global credit card payment processing and other minority investments. Bricsnet is no longer a VC-backed company but a long-term strategic investment within the industrial portfolio of TORIMBIA and it is led and managed directly by TORIMBIA’s own executives. 3. Can you describe the scale of Bricsnet’s business? (I’ve seen 2008 sales given as $7.2m, and a total of 70 employees – not sure if that was just US, or a global total). Bricsnet is a private company integrated within the portfolio of a family-owned holding and, following its shareholders’ strict rules and policies, does not disclose any details regarding its revenues, profits or other company financial aspects. 4. Of those sales, how much is attributed to ProjectCenter as opposed to real estate management systems Bricsnet Enterprise and Bricsnet Retail? Is the ProjectCenter business generating a profit, and how has it grown in recent years? ProjectCenter global business accounts for approx. 20% of the company’s revenues. This revenue breakdown stays in line with the fact that our core business revolves around IWMS through its flagship product: Bricsnet Enterprise and Bricsnet Retail. 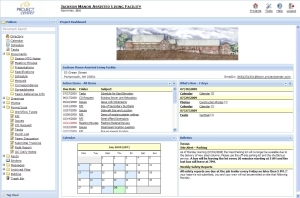 Noteworthy, Bricsnet Enterprise includes a project management module that to some extent may be comparable to ProjectCenter, but is targeted at customers that view construction as a business process within the management of a larger real estate portfolio. From a strictly AEC project collaboration standpoint, ProjectCenter has been a profitable business for the last four years and it has grown steadily, albeit modestly. It registered a rapid take-off from 2001 through 2005 followed by stable and slight growth rates since then. 5. Bricsnet has offices in the US and Spain – approximately what proportion of ProjectCenter business comes from the US and what from Europe? And, apart from Spain, in which other European countries are there significant ProjectCenter user communities? ProjectCenter overall business results are almost equally split between Europe and the US. Through our offices in the US and Spain we offer a global service and support operations in several countries around the world. Within Europe and besides Spain, France and Switzerland are other countries where there is a higher concentration of projects and ProjectCenter users. Within ProjectCenter we have always targeted AEC specifically. In the Spanish market, due to the particular strength of global engineering/infrastructure firms, we placed a special focus on this sector as opposed to the US operations, where our focus was more on architecture and construction companies. In Spain, particularly, ProjectCenter is widely recognized as the easiest-to-use SaaS project collaboration application and our customers have given evidence of the excellent customer support that Bricsnet offers through the customer satisfaction surveys that we carry on on an annual basis. ProjectCenter is used in projects of different types and sizes, with total project budgets ranging from a few hundred thousands of euros (residential developments) to 1 billion mega projects (large infrastructure programmes). We have been working closely with companies like Acciona, Bouygues, EDF, Endesa, Ferrovial, Iberdrola, Isolux Group, Ministerio de Fomento (Spanish Ministry of Public Works), Spanish Ministry of the Environment, Técnicas Reunidas, Typsa, URS Corporation, Vodafone, etc. i) Infrastructure and transportation sector – in projects such as Madrid Metro, Oran Tramway, highways (Greece, India, Ireland, Romania, etc), New York Ground Zero Transport Hub, Rapid Rail Trinidad & Tobago, etc. One of the biggest Spanish infrastructure project undertaken to date, and where ProjectCenter was successfully used, consisted of 900 km of water capture and transport through an extremely complex national grid of piping, tunnels and canals. ii) Energy and chemical sector – we collaborate with national utilities companies, with ongoing projects throughout the world: power plants, R&D projects in new environmental technologies and renewable energy facilities in Europe, Africa, South America, and chemical and water treatment plants in several countries in Europe, Africa, South America and Australia. iii) Airport development projects – terminal buildings, runways and data centres, both at national and international level: Spain, Egypt and South America specifically. iv) Residential and commercial construction – housing, new corporate headquarters, hotels and shopping malls. Sport facilities planned for the prospective Madrid 2016 Olympic Games award were also managed with ProjectCenter. 7. What was the initial reaction to SaaS-based solutions in the Spanish market? Has that view changed in recent years? Is ProjectCenter software development undertaken in Spain or the US, or elsewhere? i) The external data storage component. Questions about data security, availability and confidentiality were raised on a regular basis during commercial presentations. Many prospective customers could simply not conceive that their information would be stored on external servers. ii) The dot.com burst that had just occurred in 2000 created a negative connotation around Internet-based companies/solutions and lack of confidence about these companies’ future in general. iii) A market traditionally reluctant in terms of business practice transparency. Particularly in Spain, the AEC sector is a closed sector, fragmented and not at all prone to technological innovation and transparency. In general, it is a difficult market to penetrate and it never reached the penetration levels that we had expected or that other countries like UK, Asia or Middle East realised. Frankly, in this sector, business practice transparency is still a pending discipline. That was true ten years ago and unfortunately, today it still remains true. ProjectCenter development is fully undertaken in the US while Product Management and QA are more global, ensuring that views from different sectors and different countries and customers are incorporated accordingly in the final product development. 8. BIW was deployed on a Madrid shopping centre in the early 2000s, and I understand that Aconex is establishing a base in Spain. Who else do you regard as competitors in the collaboration sector, and how significant are they? In the early years of 2000, there were several actors trying to establish a presence in the Spanish market but within few years most of them vanished altogether. In all honesty, we know of very few projects of competitors and those opened were in fact influenced by the lead project manager/architect/developer that tried to extend their previous experiences with extranets elsewhere. Bovis Lend Lease, Mace or Chapman Taylor are good examples: they introduced BIW in Xanadu shopping centre or 4Projects in other projects, but there was no further indication that competitors were set to establish a stable base in Spain. Very recently, Aconex opened an office in Madrid but so far we have not crossed our roads and we are largely unaware of a significant presence penetration by Aconex in Spain. For the time being, it looks like Spain is a market dominated by ProjectCenter. However, we are keeping a close eye on open-source technologies and the impact of the current trend of low-cost to no- cost solutions. 9. Has the current global financial crisis had an impact on your ProjectCenter business? There is no doubt the financial crisis was noticed all over the world, especially in the AEC sector. Spain was not immune and probably presented a priori the worst perspectives because of its heavy dependence on “bricks and mortar” and its incredible property boom followed by a drastic 2008 burst. However, ProjectCenter did not register an important decrease mainly due to the fact that many of our customers use our solution in international longer term infrastructure or industrial projects. Nevertheless, growth stalled and total bookings did decrease. 10. There has been lots of talk about Building Information Modelling (BIM) in the past couple of years. Is this something that you will be incorporating into ProjectCenter? BIM has become an interesting subject, especially in the last few years. 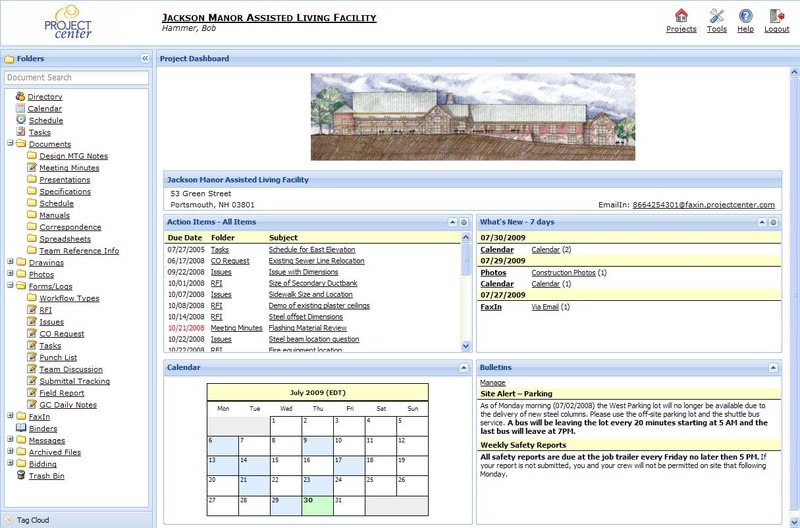 Similarly to what has happened with the life-cycle asset management, Bricsnet pioneered the dawn of BIM and in the late 1990s had in its portfolio some 3D modeling software that unfortunately never took off seriously and whose commercial sale was discontinued years ago as we realized we were ahead of the time. BIM is an important part of the design process where the collaboration tools are many times desirable but may be not indispensable and this is maybe why we do not put a special effort in its deployment. From a purely file-sharing standpoint, it is clear that ProjectCenter could accommodate Revit or similar models. Concerning the future, we have no immediate plans to incorporate it as part of our offering as BIM is not directly related to portfolio and workplace management and consequently to our core business and flagship technology Bricsnet Enterprise.